AKIPRESS.COM - The U.S. Embassy in the Kyrgyz Republic is conducting a series of concerts featuring the Gina Chavez. This tour is dedicated to celebrating spring and partnership between the American and Kyrgyzstani people. With the exception of the Gina Chavez’s performance at the Bishkek Jazz Festival, all events are free to the public. 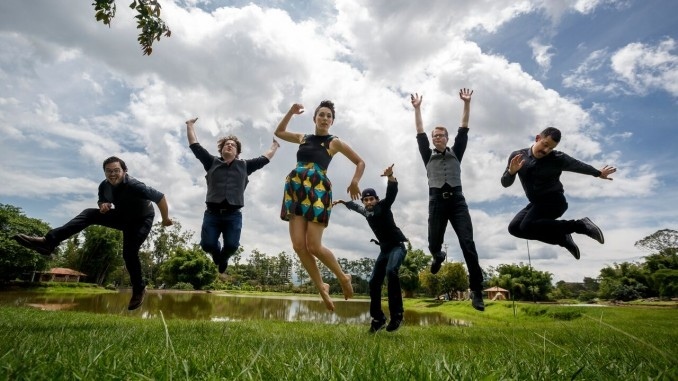 On April 11, the Gina Chavez will kick off their tour at the American Corner in Kant, where they will conduct master classes for young people, musicians and local residents. Gina Chavez will travel to Osh on April 14 to perform at A. Novoi School in Aravan village (Osh Region) at 11:00. Musicians will give a master class to children at the Special General Boarding School for Blind and Visually Impaired Children in Osh at 15:00. Gina Chavez will also perform in Fergana, Uzbekistan on April 15. Gina Chavez will conclude their tour with a free concert at Asia Mall on April 18 at 18:00, to which all Bishkek residents are invited at no cost. Throughout their time in the Kyrgyz Republic, Gina Chavez will work with students to develop their musical skills at master classes, which will take place at Bishkek’s M. Kurenkeev Music School and the American Corners in Kant and Bishkek. American and a multi-ethnic Latin pop songstress Gina Chavez is a nine-time Austin Music Award winner. Her bilingual record, Up.Rooted, topped both the Amazon and Latin iTunes charts following a feature on National Public Radio’s (NPR) All Things Considered https://www.npr.org/2014/04/18/304574157/on-latest-album-gina-chavez-unearths-her-latin-roots, and has been hailed by The Boston Globe, USA Today, and Texas Monthly. Her Tiny Desk Concert made NPR’s top 15 of 2015. Fresh off a nine-country tour as a Cultural Ambassador with the U.S. State Department, Chavez’s passionate collection of bilingual songs take audiences on a journey through the Americas, blending the sounds and rhythms of the region with tension and grace.